Bucket bags have taken the fashion world by storm in the past few seasons and it's not going anywhere. 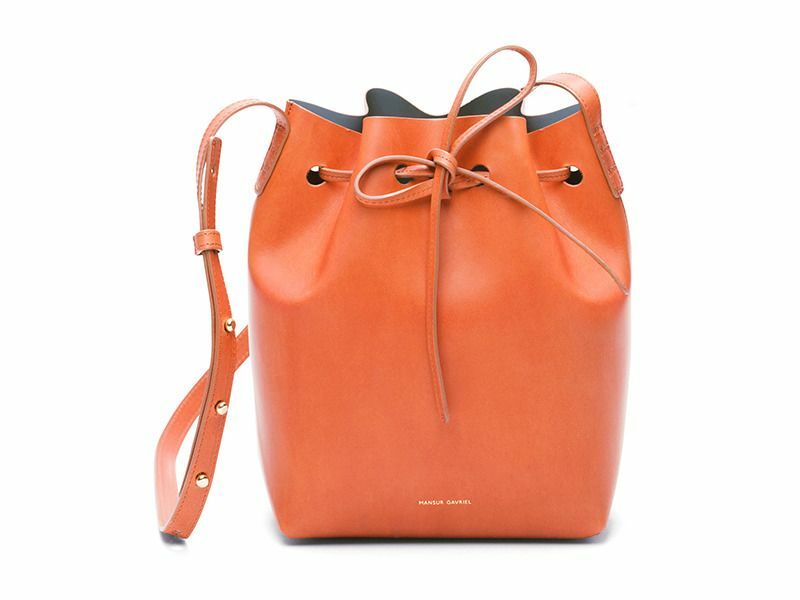 The highly coveted MANSUR GAVRIEL bucket bag still has a long waiting list in store and still sell out within a day upon release. It's still a hot commodity. You might have seen me worn it all over my Instagram. I can't help it. 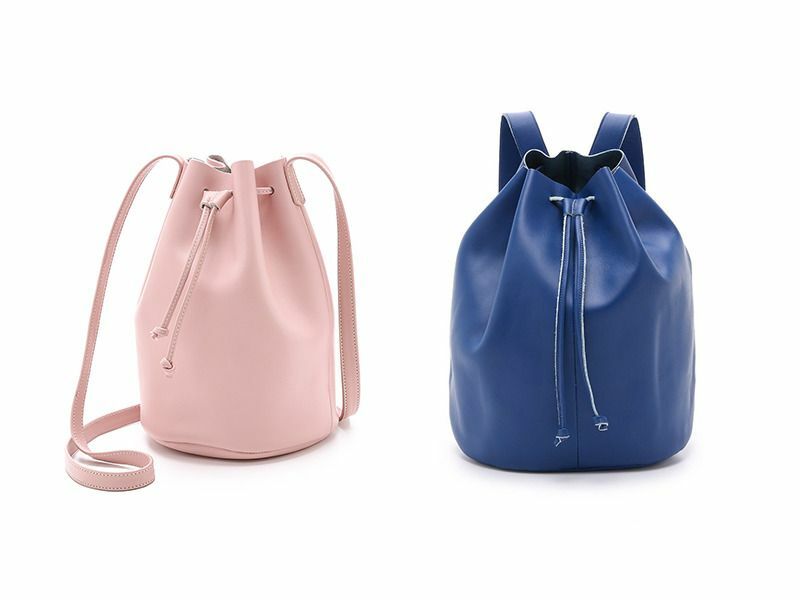 After using them for over a year, I absolutely love the MANSUR GAVRIEL bucket bags. Its simple design makes it appropriate for many occasion, which I appreciate. 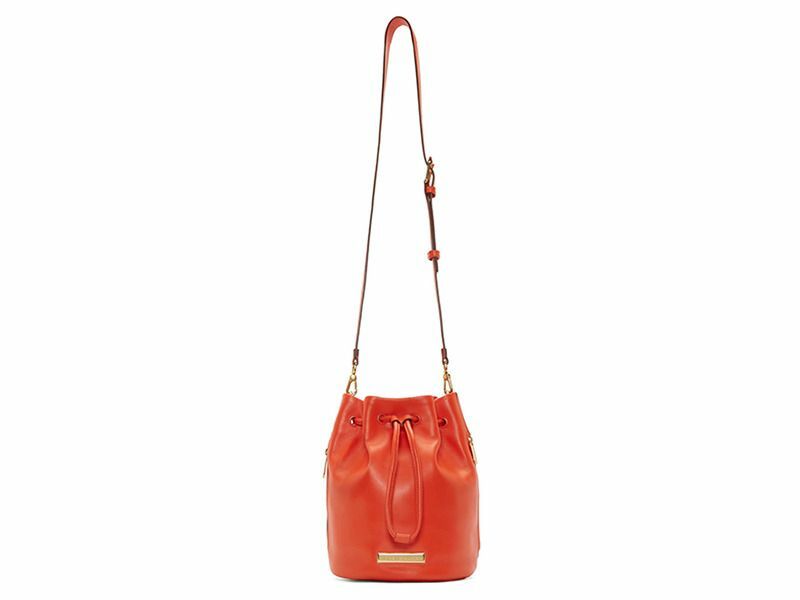 The pop of colour is inside the bag, so it's subtle enough but it does make an impact. 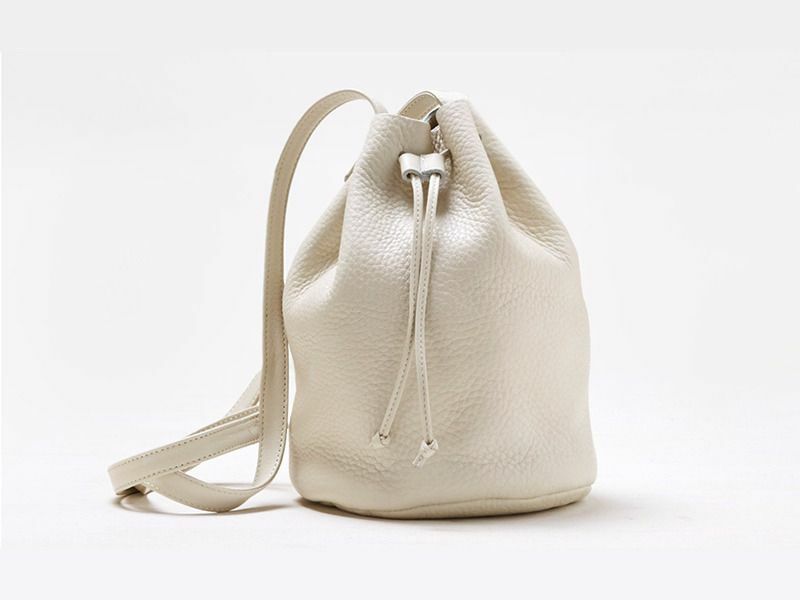 But if the MG bucket bag is not your cup of tea, there are also many kinds of bucket bags available on the market right now from ZARA to J.Crew, from Baggu to Mackage. 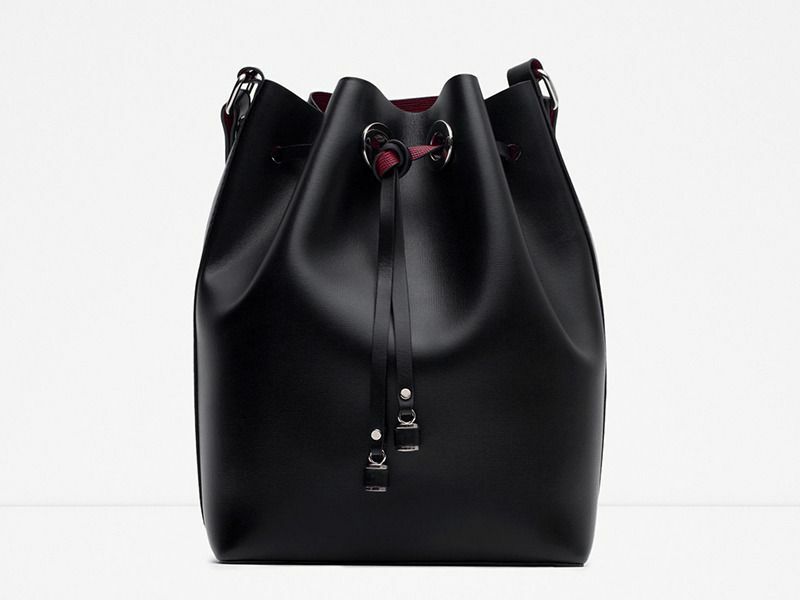 This ZARA bucket bag resemble the MG ones the most, down to the pop of colour. It seems quite durable with all the metal details. 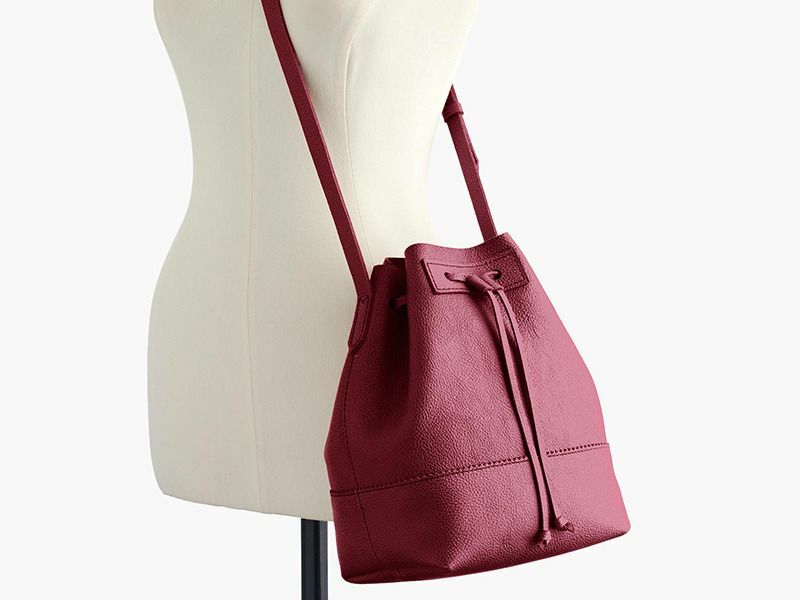 If you can't tell already, I'm loving burgundy at the moment, and this J.Crew bucket bag. 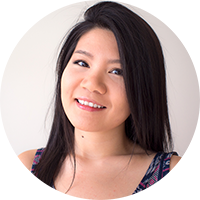 It does look quite soft and easy to lose its structure, so you may really like it or hate it, depending on the look you're going for. If you're going for the rocker chic look, this Mackage one might be right up your alley. Unlike other bucket bags shown here, it also comes with a top handle, which is something I miss when I wear my bucket bags. It's super handy and gives more variety to the look. If you're like me who got your hands on some bucket bags, whichever brand it is, keep them around and keep wearing them. If you haven't gotten one, will you invest in one?